Pinterest is a new social media platform that is becoming very popular and it is based entirely around viewing and sharing images. Pinterest is a great place to find new cool pictures, infographics, new products, and even recipes. When you go to Pinterest you can scroll through the images based on either who you follow or for a specific topic and enjoy or learn without having to read through status updates. Pinterest is not like any other social network where you share status updates with your friends and family. 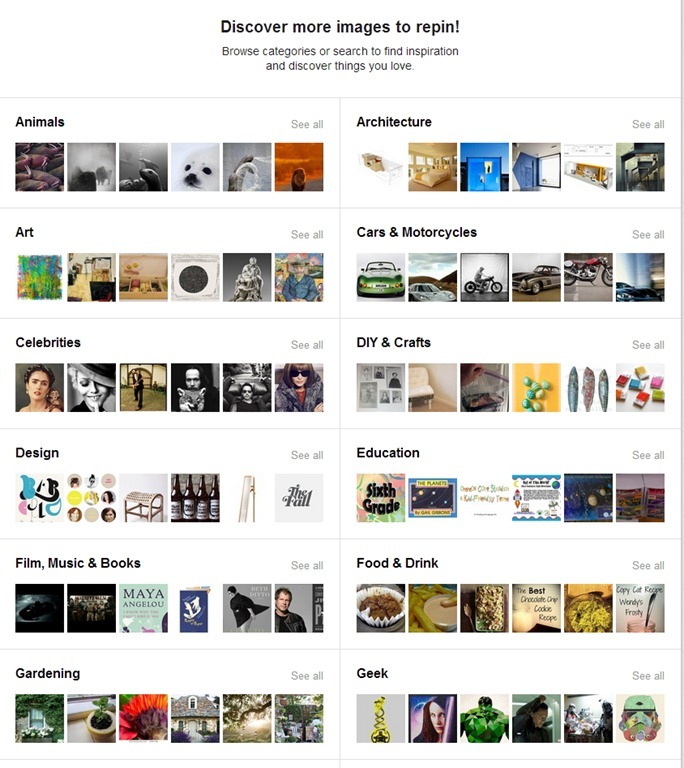 Pinterest is where you can go and view Pins on almost any subject. 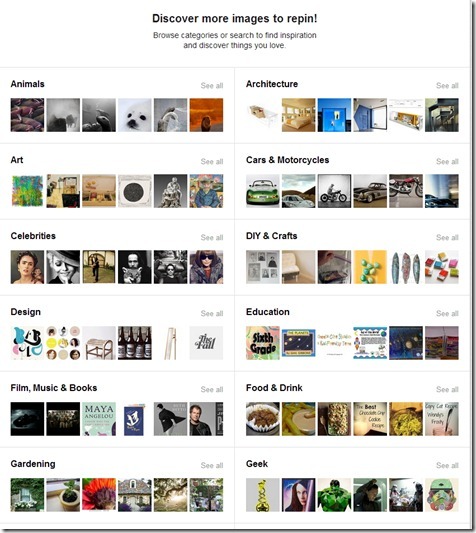 Pinterest has 30 some different board categories from Art to Travel. Because there are some many different categories you can find cool Pins that are funny or interesting every day. I use Pinterest to view amazing photos, funny memes, cool products, and interesting infographics. To start using Pinterest you can either create and account or link your Facebook account with Pinterest to create an account and allow you to follow your Facebook friends on Pinterest. 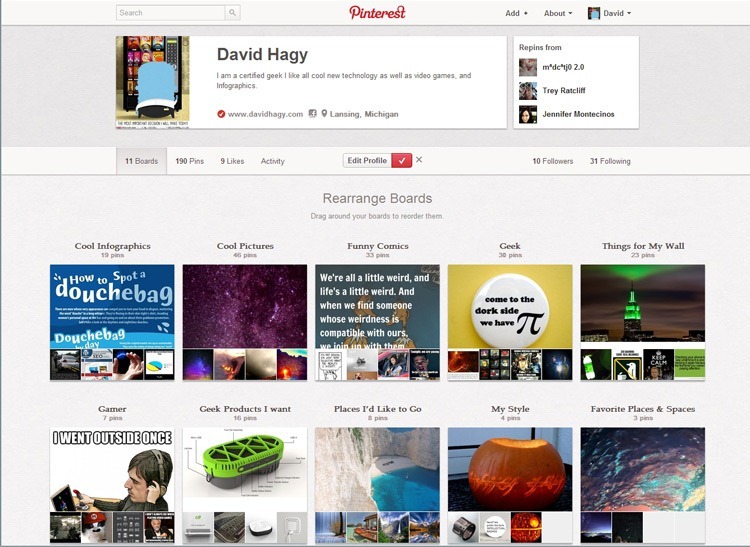 Once you start using Pinterest you can setup your boards which is where you will put the images you pin. Pinterests user interface is very easy to use which allows you to browse through the latest pins from your friends or people you follow and when you find one you like you can comment, like, repin, or go to the website the image is stored on. When you use Pinterest you create your own boards which are basically where you “Pin” images you find either on Pinterest or from other websites. 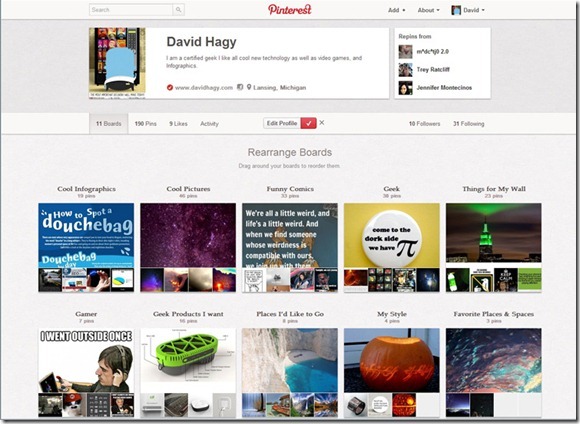 You can create boards based on any topic you want and then pin any images you want for that topic. 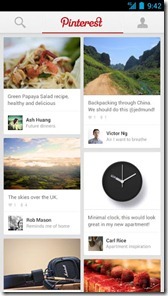 Some people makes boards from design ideas, recipes, pictures, or products they like. 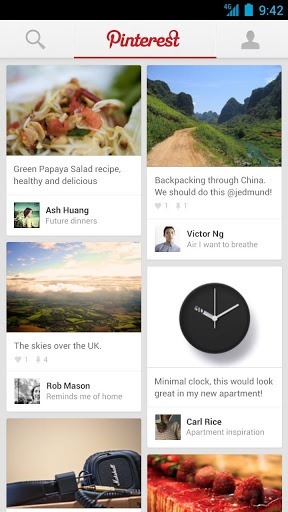 Pinterest also has a great Android and iOS app so you can browse through your latest Pins when away from the computer. 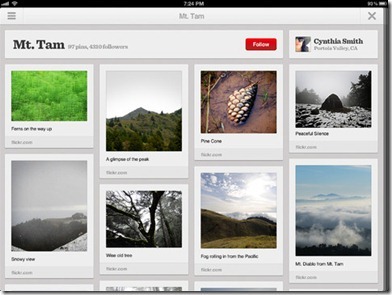 The Pinterest app also works well with tablets and takes advantage of the larger screen. When starting Pinterest you may not know what people are good to follow. There are a lot of people to follow on Pinterest here are a few that I follow; Mashable: Pins about technology, BuzzFeed, Etsy: crafts, Trey Ratcliff: photographer, and George Takei. There are tons of interesting Pinterest boards to follow you just have to go on and look for them. Pinterest may be thought of as only a place to go if you like design, but that is not the case Pinterest is a great place for foodies, geeks of any type, designers, fashionista, and DIYers. Overall I think Pinterest is becoming one of the top social networks on the web, because people can get tired of Facebook and want to go to a site that is different. 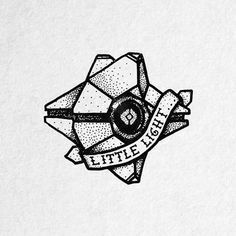 Pinterest is a great place to go to relax for find new ideas. I know that once I started using Pinterest I kept coming back because of all the cool images I found as well as helpful information that was posted on Pinterest. If you want to learn more about Pinterest check the links below to website that talk about what Pinterest is and how it is used. Also let me know how you use Pinterest and if you would like to see some of my Pins click the link below or the Pinterest icon on the top of the home page.